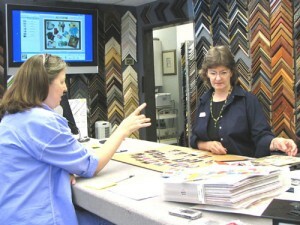 Bradley’s Art & Frame designer, Lucy Quay, helps a customer. A well-designed picture frame enhances the art and never overwhelms it. The colors will be pleasing to the art and your eye. Of course, proper preservation materials will be used. The designer will recommend glass or acrylic when appropriate and explain the many different types and why we recommend one specific kind. We’ll be happy to work with your interior designer. We can choose framing materials, photograph them, and use our Picture-it-First system to show you exactly what your art will look like after it is framed. Many times we have e-mailed or printed these photos so that others can be involved in making the final decision. 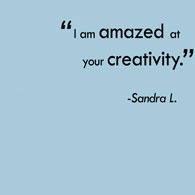 Whether it is extremely valuable … or simply priceless, you’ll receive the best design our sales/designers have to offer. We’ll certainly work within your budget. Look for your Bradley’s Gift Certificate on this website or in our newsletter. Completed wall grouping from an on-site design consultation. Home and office visits may be scheduled with our sales/designers at your convenience. We will bring framing samples, design a hanging layout, and make suggestions on choices of art and objects during your personalized visit. 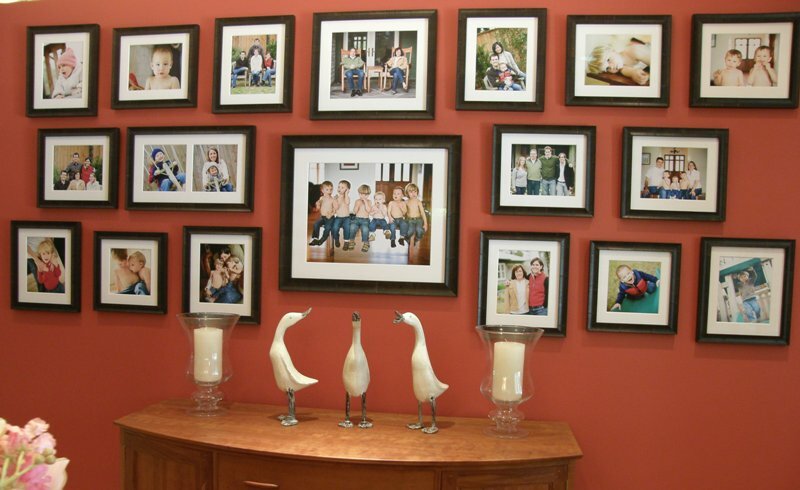 A favorite is the design and hanging of a family photo wall. Tip: When hanging several pieces in a group, lay them out on the floor in front of the wall. If the layout isn’t obvious at that point, cut out newspaper patterns the same shape as the frames and attach them to the wall with straight pins. When it looks right, put your hanging nail right through the paper pattern. If you need help, Bradley’s on-site installers are always available. As always, Bradley’s Art & Frame unconditionally guarantees our quality and your satisfaction.